When most people think of treatment, they think of doctors and hospitals and needles and miserable, ongoing physical therapy sessions. That’s not how I remember it. My earliest memory as far as treatment, I was four or five years old. We were at Shriner’s Hospital, where we spent a lot of time when I was growing up. But it wasn’t what you’d think. Not what you see in the movies. I wasn’t miserable, not at all. It was fun! The nurses were nice and talked to you at your level. There was a rec room and lots of other kids to talk to and play with. And none of those kids thought you were ‘weird’. This particular time, we were out in the yard of the hospital, and there were clowns and games, and the WSU football team was there. I only remember pieces of it. But I remember it was fun. I remember someone from the local newspaper was there and they took my picture. I’ve had surgery three different times, totaling 10 incisions. Surgery is performed on children with CP that have severe muscle contracture. They cut the shortest fibers of the muscle, to lengthen it. For me, and many other patients, this meant my heels touching the ground instead of walking on my toes, being able to (almost) straighten my legs, and being able to stand up straight, instead of being bent at the hip. To reduce pain and sensitivity, sometimes causing numbness, they might also cut the nerve. The first time I had surgery I was two years old. It was to lengthen the Achilles tendons on both legs. 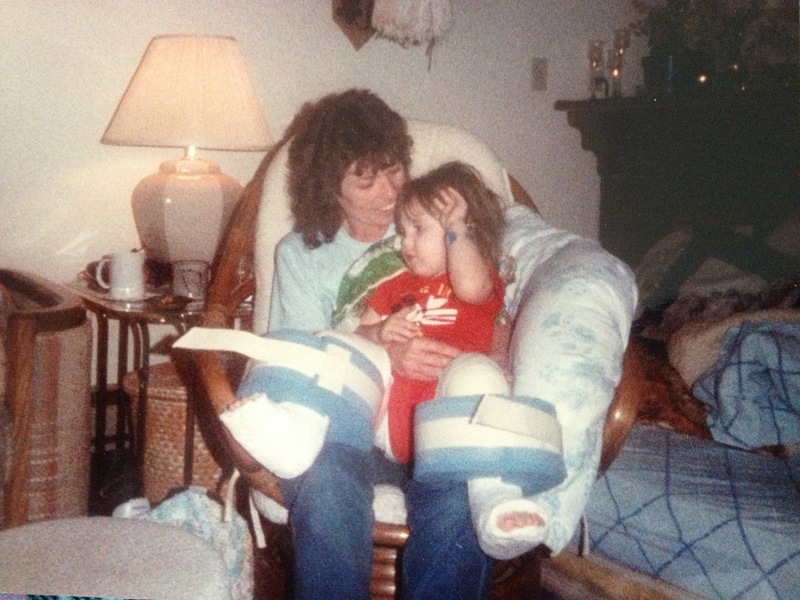 I don’t remember it, but I’ve seen pictures of the bulky, plaster casts that went all the way up my legs, as well as the big blue foam bumpers that went around them to keep the casts from knocking together and breaking. 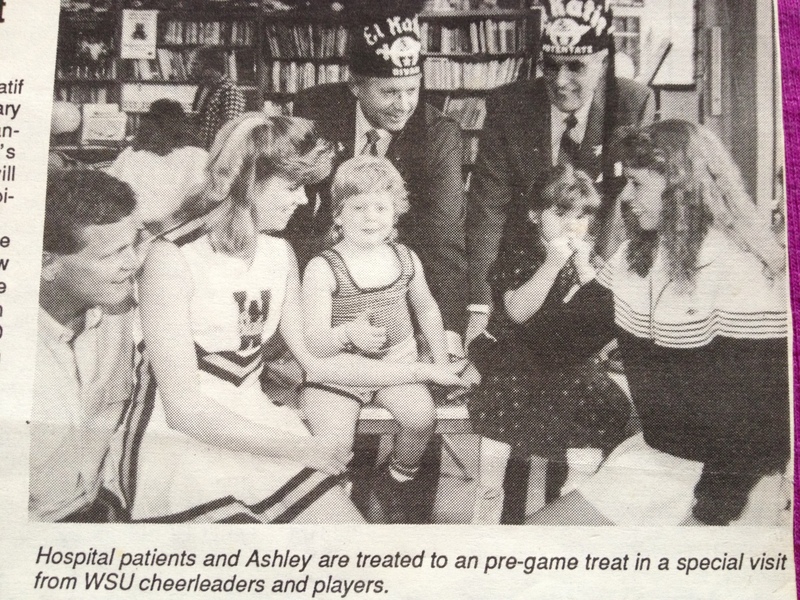 I remember the trips to Shriner’s, about two hours away, to assess treatment. Sometimes it was just me and my mom, sometimes my little brothers came too. I loved the little road trips. I’d ride in the front seat with my pillow and blanket and 20 of my favorite stuffed animals; mom would stock the car with donuts and snacks. When we got there, the doctors would pull my legs up and down and watch me walk and test my reflexes. It was all to evaluate the locations and extent of my impairment, in order to plan treatment options. 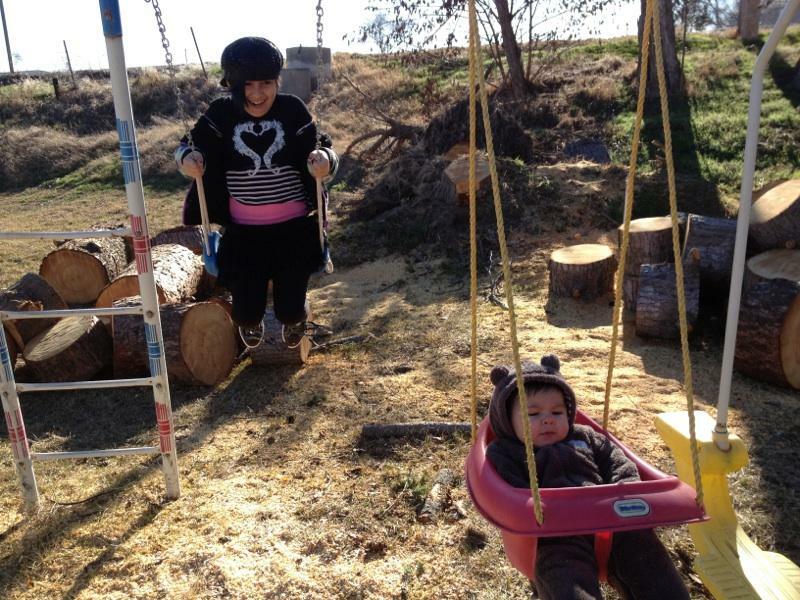 When they were done, we’d go out to the swing set or to the rec room and play games. Then it was back home. The second time I had surgery I was five. It was during kindergarten, and I remember returning to school in a wheelchair. Again, it was on both Achilles tendons, and the casts went all the way up my legs. I remember all the kids being fascinated with the wheelchair, and that they could write on the casts. On one occasion, my teacher, Mrs. Herald, who was probably in her 50’s, wanted all the kids to lay on the floor and read. She told me I could sit at my desk, but I wanted to lay on the floor with all the other kids. Instead of brushing me off and telling me I couldn’t, she picked me up out of my wheelchair herself and laid me on my stomach on the floor. The whole class laughed at the sight of her carrying me, but I was glad at the opportunity to do the same thing the other kids were doing. The last surgery I had, I was ten. They did it during the summer, to minimize the amount of school I would miss for recovery time. This surgery was more extensive; they were lengthening my left Achilles, hamstrings on both legs, and my left hip flexor. In the hospital, I had a roommate that was about my age. Her name was Savannah, and she was having surgery for club foot. I had never heard of that before, and she tried to explain it to me, but I didn’t really understand. It was fun to have another girl my age there to talk to and play games with. Someone who could really relate. After we went home, having to recover during the summer was hard for me. I loved to swim and ride my scooter and play baseball with my brothers during the summer – none of which I could do with the casts and splints and stiches. I remember getting my feelings hurt when my family decided to go to the local indoor pool to swim, even though I’d have to sit there and read. Didn’t they know how much I loved swimming?? Nights were long; I had to sleep in the splints, which meant keeping them straight all night long. The left leg would hurt under my knee from the stretch of my hamstrings. I used to push the splint down carefully, just enough to bend my knee a little (Shhh! Don’t tell my mom!). But mom stocked me up with books and puzzles and things I could do until I was recovered, and even bought me a little Vtech lap top so I could play games. During my recovery we took a trip to Seattle to visit my grandparents, and we all stayed at a resort. There were lots of things I could do in my wheelchair, like play games in the rec room or mini golf. There was a beautiful pool, and I was really disappointed that I couldn’t swim in it. So my mom waited until it was getting dark and the pool was empty. She got in and told me to sit down at the edge. Then I laid on her hands, and she floated me around on my back in the water. I’ll always remember how cool I thought my mom was for doing that. I’ll also remember the half cantaloupe filled with ice cream she gave me for breakfast the next day (that she didn’t give my brothers). I started school that year still in casts, splints, and a wheelchair. It was a little difficult, but accommodations were made, and my teacher was really nice. At home, my best friends and I decided to put on a neighborhood talent show. We liked to do dance routines (and the Macarena  ) and put on shows. I didn’t have to have the splints on anymore, and I was able to walk in the cast and practice routines. We picked Saturday the 23rd, the day after I got my cast removed, as a celebration for cast removal. To my surprise, it was a lot harder to walk and jump with the cast off than with the cast on. My ankle was really weak. The support of the cast made it easy, but without the support, I almost fell every time I took a step. But we had spread fliers around the neighborhood and knocked on doors, and there were a lot of adults coming to watch and a lot of kids coming to participate, so we couldn’t change the date now. It was difficult, and probably pretty obvious that I was having trouble, but we did it. And with the $5.00 we got from charging admission, we rented a movie loaded up on candy. Therapy was another major form of treatment for my CP. I hear people talk about how they hated the painful therapy sessions, but that’s not how I felt about it at all. During school I had therapy once a week. The physical therapist would come and get me out of class (yesss!) for a half hour. The physical therapist I had during elementary school, Bridgette, really impacted my life. She turned the stretching and balance exercises into games, and more importantly, she never let me say “I can’t”. She would prove that I could, if I didn’t give up. Today, when I hear myself saying I can’t, I hear her voice reminding me not to say ‘can’t’. That I can, but I have to keep trying; find another way. She ended up starting her own children’s therapy business. Through that I got to do a lot of things that ‘other’ kids got to do, like dance and Tae Kwan Do. She ended up moving to Seattle, and we lost contact, but if I could see her today, I would thank her. I also did horseback riding, known as Hippotherapy, and swimming therapy. Hippotherapy benefits because of the effect the horse’s movement has on the person. Swimming therapy’s main benefit is that the buoyancy of the water makes the person almost weightless, so it is easier to move and exercise without putting harsh strain on the bones, joints, and muscles. Another form of my treatment was leg braces, or AFO’s. I think I was about four years old the first time I got them. I hated them. One of my best friends has Spina Bifida, and she loves her braces. And I know of others that love their braces, but I have always hated them. I remember them feeling uncomfortable and restrictive, and that they always pinched my legs when I sat in the plastic chairs at school. Not to mention how ugly I thought they were. I felt like I looked like I had robot legs. Especially with the giant shoes I had to wear to fit over them. I always tried to get out of wearing them, and sometimes my mom caved and I didn’t have to. The last time I remember having them as a kid I was nine or ten. My poor mom; I probably complained so much that she just didn’t push it anymore. For children, there are many treatment options, including the ones I talked about above. There is also speech therapy, for children whose CP affects their ability to speak, eat, or swallow. Muscle relaxers are prescribed to patients who have severely contracted muscles. Occupational therapy, similar to physical therapy, is mostly for those that have trouble using their arms and hands. There are also newer treatments, like Botox injections to ease contracture on a longer term, and new discoveries with cord blood and stem cell treatments that are actually making some symptoms disappear! Unfortunately for me, these new discoveries have so far only worked on young children. I moved to California when I was 13, and there wasn’t any treatment after that. I tried to seek out treatment as an adult when I turned 18, but nobody seemed to know what to do with me. A big issue I have encountered, and a lot of why I write this blog, is that there is not enough information or treatment options for adults with CP. Once you’re 18, Shriners (a children’s hospital) doesn’t help you, and doctors don’t know what to do with you. Research online only finds information on ‘your child with CP’. My problem is this: Children with CP turn into adults with CP. It doesn’t go way on your 18th birthday, but your options for treatment seem to. Why isn’t there more information, knowledge, and options for us? Soon after my 18th birthday, I went to an orthopedic. He measured the tightness in my legs and said “Yeah, you have contracted muscles.” When I asked him if there was anything we could do about my obviously in-turned knee, a brace or something, he said he didn’t know what I was talking about. Other orthopedics wouldn’t even see me; they said something had to be broken or sprained for them to see me. With no insurance, I gave up. When my pain and weakness got pretty severe while I was working at the bank, where I had insurance, it was time to try again. My regular doctor helped with some medications and a referral for physical therapy. The therapists were nice and they worked hard to help, but even they didn’t seem to know much about CP. It was my idea to get a wheelchair when nothing seemed to really be working, and the wheelchair helps, but I still wonder if there’s a way I wouldn’t have to use one. If maybe had treatment continued, I’d have had another surgery. If maybe I could make up for it now. My doctor also referred me to a therapy and CP specialist about 4 hours away (at a children’s therapy center) who agreed to see me, even though they don’t treat adults. She told me I needed AFO’s, so she fitted me for them and had them made. Honestly, I hate them as much as I always did. I thought as an adult I wouldn’t, but I do. They’re still restrictive and uncomfortable, and my feet hurt around the middle of the day. When I wear them, even for long periods, I don’t feel much of a difference. Admittedly, I don’t wear them as often as I should. Now, on disability, I don’t have any medical insurance. I’m not eligible for Medicare until I’ve been on disability for 24 months. So I pay out of pocket for doctor visits and monthly prescriptions. I hear Medicare doesn’t cover much anyway. I would like to see more research being done and more solutions being implemented. Is it silly of us to expect more? To my readers with CP and other disabilities, have you had the same problem, or what treatment solutions have worked for you? “Cerebral Palsy doesn’t get worse.” That’s what I was told when I was a kid asking questions. Technically, that it true, but as I have discovered, in some ways, things do get worse. This is a complication I have. Despite surgeries to lengthen my muscles, the spasticity in my legs is very noticeable. My hip flexer actually pops out, and my left knee is permanently twisted inward. When I stand, my knee is not in the center, but to the right of my leg. It wasn’t always that way. That is from the tendons being too tight while I grew. Growing pulled at my tendons like resistance bands, forcing my bones to accommodate. I don’t think I’ve ever been ‘clinically depressed’, but there have been times that I’ve been worn out, physically and emotionally; as well as feeling isolated. Looking back, I’ve noticed that during those times there was a drop in school or work attendance and performance. I haven’t reached middle age yet, but my CP is mild, and I don’t have a reason to think any of my organs are ‘poorly developed’. I do have a little concern about the fact that I take medicine on a regular basis, and how it might affect my body in the long run. I couldn’t have described my everyday physical state any better. As I mentioned, it wasn’t always this way, but it has gotten better since I ‘dropped out of the rat race’. I thank God for that, and I’m also praying that I don’t lose more mobility as time goes by. But I know that if I am not working, it is because God has something better for me. 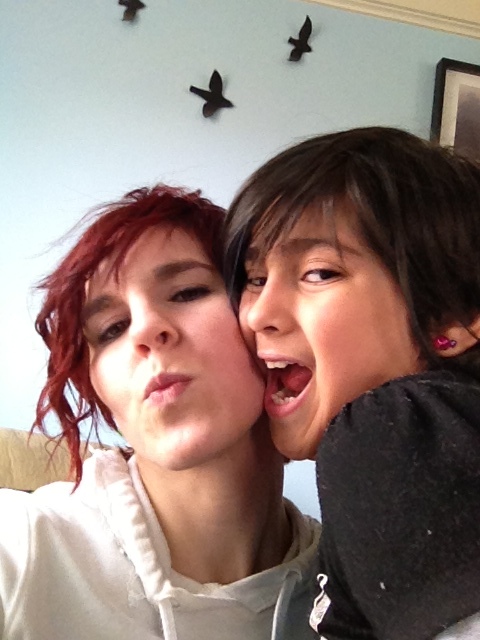 There are countless mothers that wish they could stay home with their kids, and I get to do it. I do not take that for granted. I also know that that is not my only purpose, and I want to help as many people as I can. • “Osteoarthritis. Pressure on joints or abnormal alignment of joints from muscle spasticity may result in the early development of painful degenerative bone disease (osteoarthritis). I think I might have this in my hip joints. That is the joint that connects your femur to your pelvic bone. I just read that it’s usually treated by hip replacement, which kinda freaks me out. • Malnutrition and/or failure to thrive– Difficulty eating and swallowing because of low muscle control can cause malnutrition, growth, and development problems. Although, my mom told me that when the doctors hooked me up to those wires to help them see how my muscles worked, they told her that I burn two or three times the amount of calories as others doing regular tasks, like walking across the room. This is because it takes twice the effort. But while I search for the balance and believe for the best, I hope I teach my kids not to put limitations on themselves or others. That it’s not your circumstance that matters, it’s your attitude. To not be afraid of the ‘what-ifs’. You can be Supergirl, even with a broken arm. 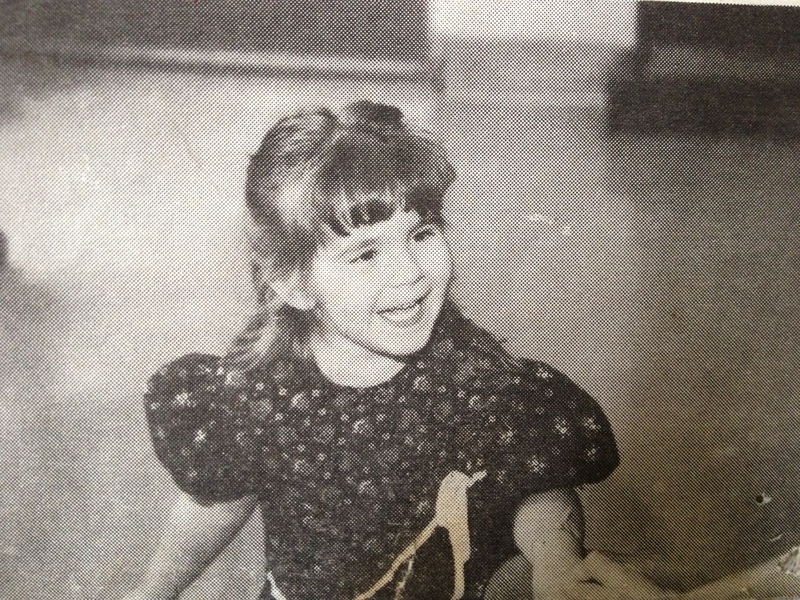 Even though my cerebral palsy was most likely developed in the womb, I wasn’t diagnosed until I was two years old. The floppy and hypertonic muscles and movements of babies with cerebral palsy are so similar to that of any other newborn that unless it is a severe case, it isn’t noticed until months down the road, when developmental milestones are missed, or something seems ‘not quite right’. Even then, doctors want to rule out other possibilities before making a diagnosis. I wasn’t crawling until about 10 months, but when I ‘crawled’ I just pulled myself with my arms and upper body, and my legs dragged behind. Since some babies learn to crawl this way, my mom didn’t think much of it. My dad wondered if there was a problem, because the muscles in my legs always seemed tight and contracted, and my feet and toes were always pointed down. In this pic of me, about a year and a half old, notice how my feet are pointed down. I am unable to rotate my ankle to point my toes voluntarily. My mom noticed had more trouble with my left side. 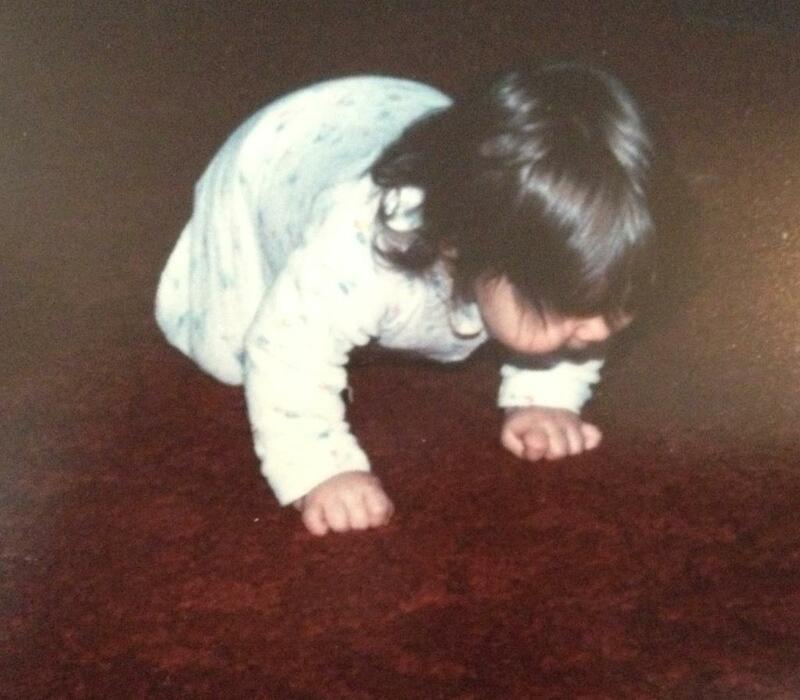 As I try to crawl, notice how I am not supporting my left side and well as my right, so I look ‘lopsided’. When I learned to stand I always stood on my toes. When I learned to walk a long time after, I walked on my toes. Since my mom walked on her toes when she was young, she didn’t think much of that either. But when it seemed to be getting worse with time instead of better, they became concerned. It should be noted that I have a mild case of CP. A lot of babies’ symptoms are much more obvious. Still, unless the baby has a severe case, it probably won’t be noticed until the baby starts trying (or should be trying) to get around on its own. The symptoms depend on the type of CP, which depends on the part of the brain that was damaged. The severity of the symptoms depends on the extent of brain damage. Most of these symptoms would be difficult to see in a baby, which is why CP is normally not detected until between 1 and 3 years of age. My mom remembers taking my grandma to her foot doctor when I was a little over a year old. The doctor played with me a little and then continued with the appointment. 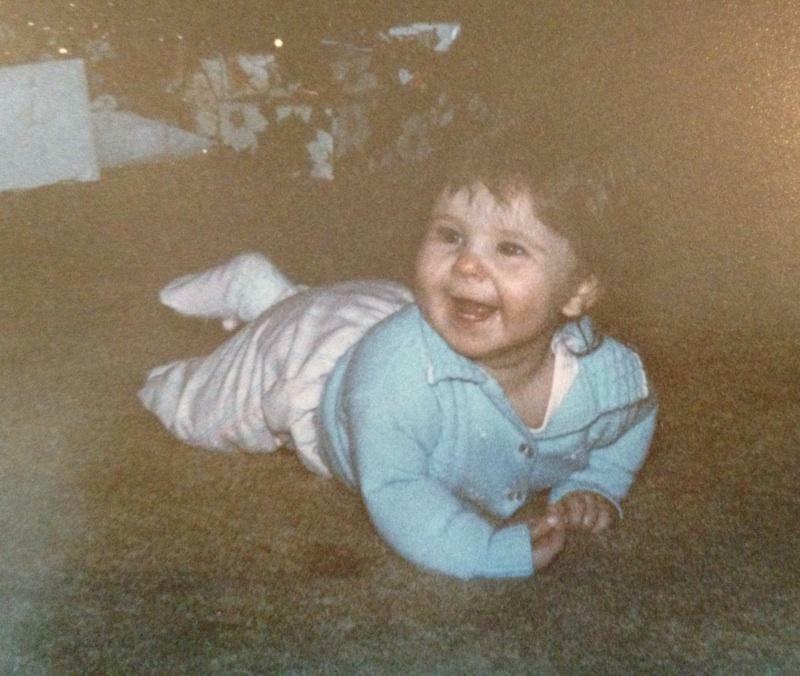 When my mom put me on the floor to crawl around, the doctor noticed I didn’t crawl quite right. With permission, she picked me up and tugged on my legs a little. She mentioned to my mom that she might want to take me to a doctor. The first doctor thought it was an orthopedic problem and tried correcting it with casts. My family saw that it wasn’t helping, and they contacted Shriners Hospital. The Shriners doctors started by coming to my home to measure my legs and flexibility. Following that, they did cat scans, reflex testing and other tests. They hooked me up to electronic impulse wires; wires that read electronic impulses from my brain and muscles, and analyzed them with a computer. My mom remembers that they hooked me up to these wires and had me walk down a long, black mat. On the computer all you could see was my skeleton walking. Finally, at two and a half years old, they had a diagnosis. That, of course, was 25 years ago. Today, maybe a diagnosis would come sooner. I could be wrong, but I think doctors now are more aware of CP than they were then. And they might not use all the same methods. My mom doesn’t remember exactly all the tests and scans they did. I don’t know how closely growth milestones were monitored back then, or whether a pediatrician today would recognize the subtle signs of my CP during a routine checkup. I don’t know if they still use the electronic impulse wires, but I would love to see that! I do know that they use MRI’s and CT scans, as well as flexibility and reflex testing to help in making a diagnosis. Along with my diagnosis of CP, my mom was told that I would never be able to run or jump or ride a bike. But she and my family didn’t just take the doctors’ words regarding my future and my abilities. They let me decide. And they helped me achieve my full potential. So when you or family member or friend receives a diagnosis, and the doctor tells you what to expect, respectfully thank them, and then do everything you can to overcome the odds. Let God decide what you are capable of. 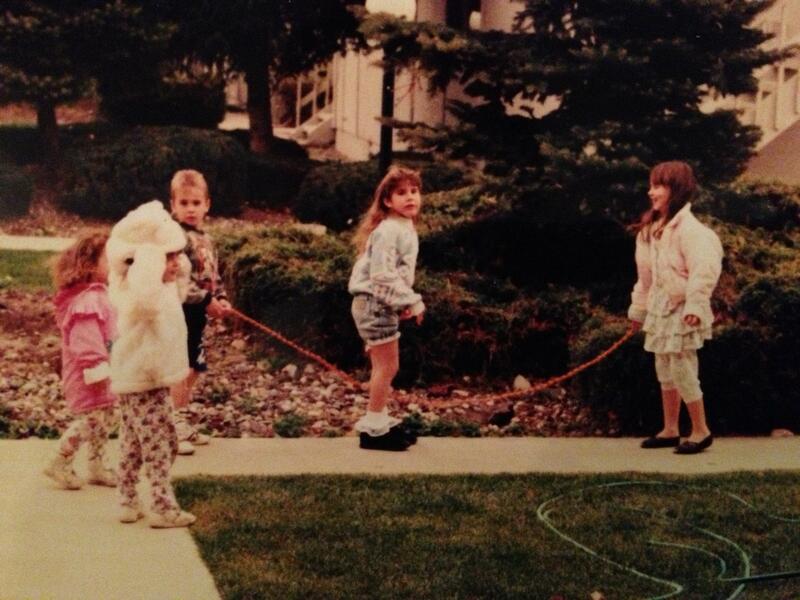 Jump rope was one of my favorite things to do as a kid… despite the doctors saying I would never have the capability. Cerebral Palsy Awareness: What Causes CP? Most of my childhood, I thought it was oxygen deprivation during childbirth that caused my CP. In fact, when people ask now, I still tell them that. Partly out of habit; partly because it’s easier than “I don’t know”, or running the list of factors that it could have been. Somewhere along the line I was told that it might not have been that. In 10th grade I did a Biology report where I found out that if a mother’s blood type is Rh negative, and the fetus has Rh positive blood, the mother’s body can trigger an auto-immune response, actually attacking the fetus as a foreign substance in the body, which can cause brain damage leading to cerebral palsy. This is called Rh Factor Incompatibility. Interestingly, my mother has Rh negative blood, and I have Rh positive. I still can’t be sure that is what caused it, because it could have been oxygen deprivation, or it could have been a few other things on the long list of causes. While you read, please remember that I have no medical training, and this is solely for informational purposes. It is still unclear exactly what percentage of CP is caused from the mother smoking, drinking, or consuming illegal drugs due to questions not being asked on paperwork or dishonesty on the mother’s part. Personally, I think these are the most preventable causes of CP. I have a good attitude about my disability, and I believe I can use it to make a difference, but I would not wish it on anybody. If you are or you know a pregnant mother who uses cigarettes, alcohol, or drugs, please, find all the information you can on the problems it can cause for the baby and scare them out of it. CP is only one of the many affects it could have on the baby. That is a choice you are making for your son or daughter. I happen to live near one of the few spots on the map where the government decided to put a nuclear plant. The nuclear plant provides many jobs and a pretty stable economy in the area to this day. They did their bomb testing for a while, about 60 years ago. Since then, it has been a ‘clean-up project’. What does that mean? It means they have thousands of gallons of toxic chemicals and radioactive waste that they’re still figuring out what to do with. They are, or were at one point, held in underground containers. I also happen to live near a very large river. Over the years they have discovered that the chemicals have seeped into the ground and the river water. This river helps supply the tap water for the entire area. It is also a source of recreation. On any given summer day, you can go down to the river and find people swimming, fishing, and boating. I spent every summer of my childhood swimming in that river. According to reports, the amount of contamination is minimal. Of course, side effects can still exist. One of the possible side effects of fetal radiation exposure? Brain damage. The area I live in is pretty small. It’s growing fast, but it’s no Chicago. My mom has lived here her whole life. I was born and raised here until I was 13. Then I moved to California with my dad. We lived in a pretty big city that was close to more big cities. From there we moved to the Minneapolis/St. Paul area. Then I moved to Phoenix to spend time with my grandma. When I was 20, I moved back here. Since I moved back, I have noticed there are more people with CP in this small town than I ever noticed in any of the big cities I’ve lived in. Have you seen Erin Brockovich? This could be the sequel. I would be really interested in someone doing a study to compare the ratio of CP incidents here to that of the rest of the country. Now that I’ve scared all of my friends and family living in the area, we’ll talk about the other prenatal causes of CP. Malnutrition – Take good care of your health while you are pregnant. Eat right. Get lots of foods rich in Omega-3 and fatty acids. Olive oil and avocado. Don’t diet. Take your prenatal vitamins. Multiples – Having multiples increases the chance that one of the babies will have CP. It’s a tight fit in there! But don’t let that scare you. It doesn’t mean they can’t all come out just fine. Rh incompatibility – This is not as big of a problem as it used to be. Now, if it is determined that there is a risk, shots can be given to prevent problems. Infection during pregnancy – Chickenpox, Rubella, Meningitis, and other diseases contracted during pregnancy can harm a baby and cause CP. Maternal health problems/Genetics – Cerebral Palsy is not genetically inherited. But genetic factors, as well as any health issues, like thyroid problems or seizures, can play a role in causing other problems that can contribute to CP. Incorrect use of forceps/Vacuum/Handling of newborn – Newborns’ heads are very sensitive. They are still soft and forming. You’ve seen the lawsuit commercials? This is what they are referring to. Asphyxia/Hypoxia – (Oxygen deprivation) Usually due to prolonged labor or a wrapped or pinched umbilical cord. Preterm/Low birth weight – Babies with a low birth weight are about twice as likely to develop CP. Jaundice – Severe or untreated jaundice can cause CP. Acquired CP refers to CP resulting from brain damage that occurs more than 28 days after birth [cerebralpalsyorigins.com]. Infection – The same diseases that can cause CP in the womb can cause CP as an infant or young child. Injury – Brain damage from injuries or child abuse. Hypoxia – This could be from stroke, bleeding in the brain, or other causes of oxygen deprivation. There are endless reasons that a child can have CP, and an exact cause is rarely pinpointed. Usually there is only speculation. While they are pretty sure that I was born with CP, it could have been Rh incompatibility, oxygen deprivation due to a prolonged labor, environmental toxins, a genetic problem, or another reason altogether that caused it. It is not entirely preventable, but by taking care of yourself and your baby during and after pregnancy, you can reduce the risk of cerebral palsy. For the children that end up with it anyway, I am living proof that it is only a hurdle, not a sentence. Life is what you make it. I have a CP, but it does not have me. Cerebral Palsy Awareness: What is CP? I found out from the Cerebral Palsy Support Group Facebook page that March 25th is Cerebral Palsy Awareness Day. By association, that makes March CP awareness month (don’t worry, I Googled it. It’s true). In honor of that I will write about CP ‘trivia’ this month. I believe awareness means knowledge. As with just about anything, there are many misconceptions about CP. If we want to spread awareness, we have to spread knowledge. So I’ll start with What Is CP? The severity of cerebral palsy can range from barely noticeable to being in a wheel chair with a headrest. I once worked with a girl that after asking me if I had CP, told me that she could tell because she did too. Had she not told me, I would not have known. However, I have seen many people that are in a wheelchair with a head rest, unable to talk or feed themselves. Seeing those people always helps me remember that though I have a lot of challenges, there is so much, like my independence, to be grateful for. Specifically, CP is neurological damage and how it affects motor skills, but there are a lot of associated conditions that can go with it. I read on cerebralpaslyorigins.com that 65% of people with CP have intellectual impairment. I am very blessed that I am not intellectually impaired, and seeing that number made me realize just how blessed I am. Other common problems are epilepsy, hearing impairment, or vision impairment. For lack of muscle control, it can also cause drooling and incontinence (cerebralpalsyorigins.com). Cerebral palsy does not worsen over time. That is, the damaged area of the brain does not worsen. As I have discovered in the past few years, the effects of it do worsen. For example, when I was a kid, the only trouble I really had with it was that my back would hurt if I sat on the floor or in the bath tub, and once in a while my ankle would hurt. I could walk or run as long as I wanted to without much trouble. I could do everything everyone else could do. Sometimes in a different way, but I could do it. Now, after years of walking the ‘wrong way’ and over compensating for the parts of my body that didn’t work well, my back constantly hurts, I can’t walk or stand very long, and I fatigue very easily. Basically, my body is aging at a much faster rate than that of my peers. That being said, I won’t suddenly begin to experience intellectual impairment, drooling, or any of the other associated symptoms because of it. It will always just be the impairment of my arm and legs, and bad balance. I haven’t been able to find a lot of information on how CP affects a person into adulthood. Everything I can find is about ‘Your child with CP’. I am really hoping that this will change soon. Especially because a child with CP is a future adult with CP. It doesn’t disappear on your 18th birthday, but that seems to be when you’re unable to find help anymore. But I am not called to worry, so I take it day by day. I am granted the grace to get through it. Hopefully to thrive with it, because I do not believe in surviving, I believe in living. Who knows, maybe I will be the guinea pig pioneer that helps millions navigate their way through rockin’ in life with CP. How long will I be able to do this?